Please keep refrigerated for lasting freshness. *Sugar and Sucralose Free! These tasty cookies are ideal for anyone with diabetes or crohn's disease. Lemon Eruption Cookies *SUGAR FREE* INGREDIENTS: 150mg THC per cookie x 2 cookies per pack = 300mg THC Flour, Canna Butter, Salt, Lemon Zest, Splenda, Lemon Extract, Eggs, Vanilla Please keep refrigerated for lasting freshness. *Sugar and Sucralose Free! 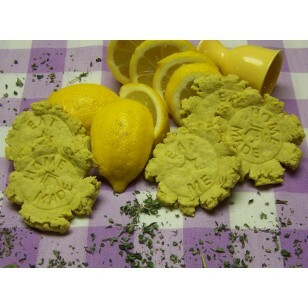 These tasty cookies are ideal for anyone with diabetes or crohn's disease.